How to Style & Decorate With Artificial Flowers & Plants! 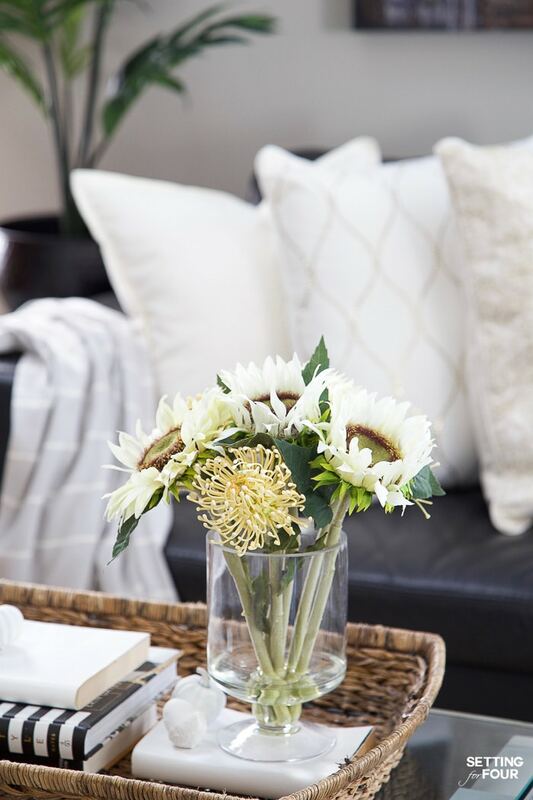 Adding these natural looking faux plants and flowers will give your home a cozy, welcoming feel! …and get your 20% off discount code for any Nearly Natural product, at the bottom of the post! Now that fall is here, we’re spending less time outside and more time indoors. As the weather cools we want our homes to be cozier and refreshed up so that we can enjoy them to the max! 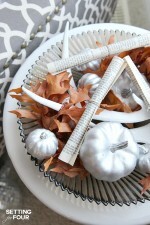 Refresh your home decor with beautiful maintenance free faux trees and flower arrangements! My friends at Nearly Natural sent me some of their artificial trees and floral arrangements to show you how to beautify our homes in an affordable way with their life-like plants! 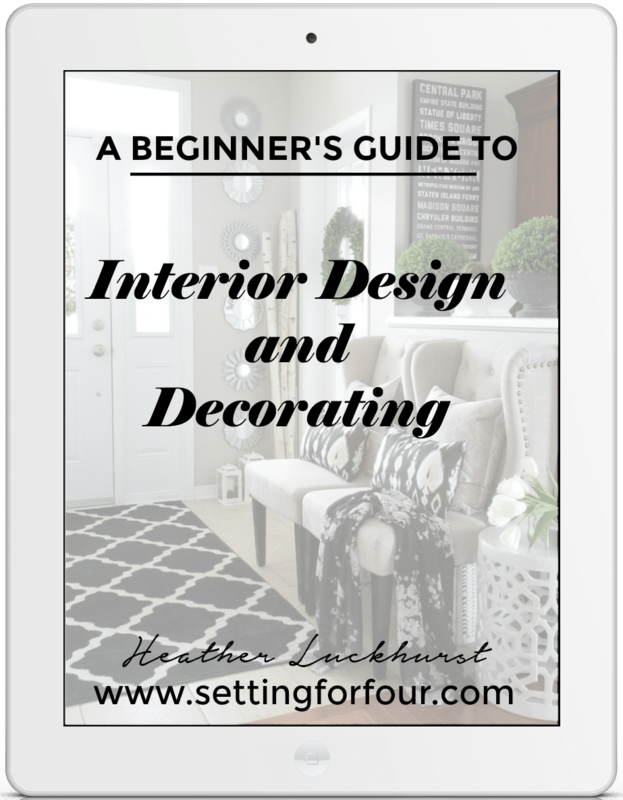 Decorating tip: Adding faux trees, plants and floral arrangements to a space will add a pop of color, texture and visual interest to our rooms without the fuss and muss of real plants. Faux trees are one of my favorite ways to decorate a room. While I do love real plants, I find that indoor tropical trees and greenery can be high maintenance and fussy with the light and water conditions they require and keeping them pest free. With Nearly Natural greenery you can completely ignore watering them and enjoy their life-like beauty! 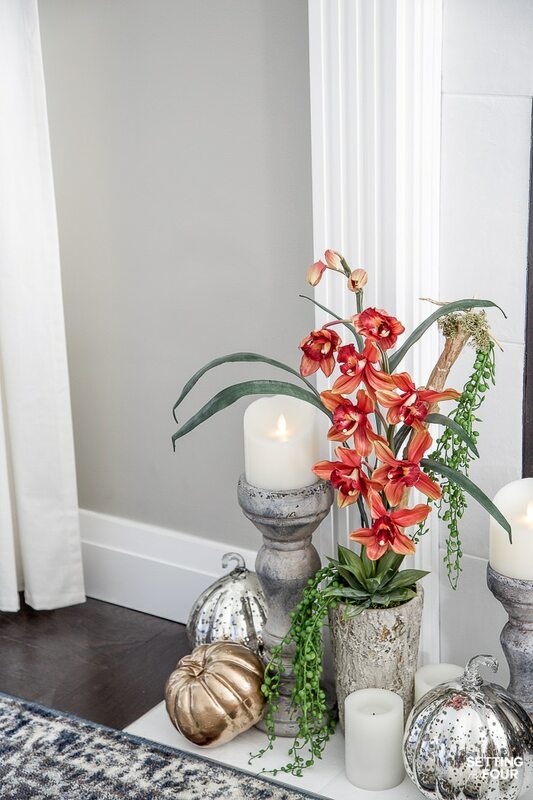 This gorgeous russet orchid planter is an elegant and unexpected way to bring in the cherished coppery colors of fall – without the hayride and cornfield vibes. 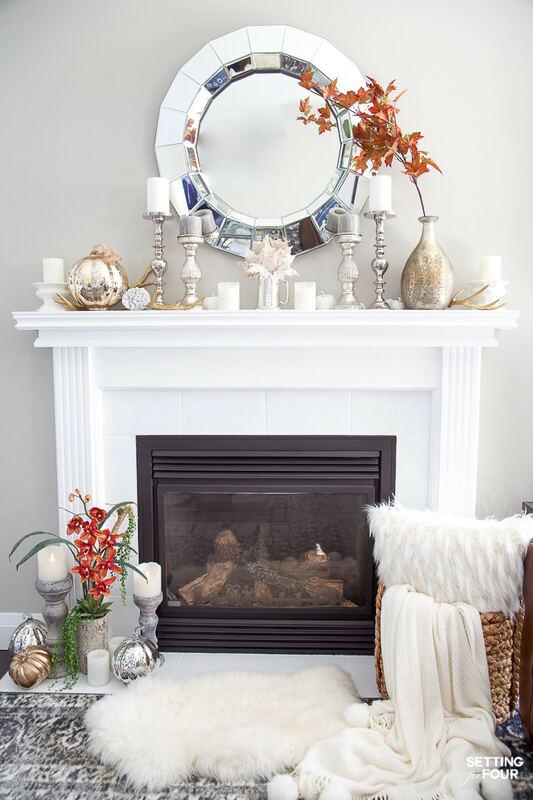 Add it in your living room like I did on our fireplace hearth or on the mantel…. 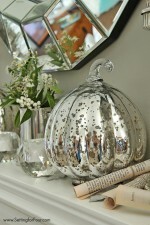 or add it to an entryway table. It comes in an lovely gray oak vase with natural-looking green moss. This would also look pretty on a bathroom vanity. Isn’t it gorgeous! It also comes in a white orchid style too! 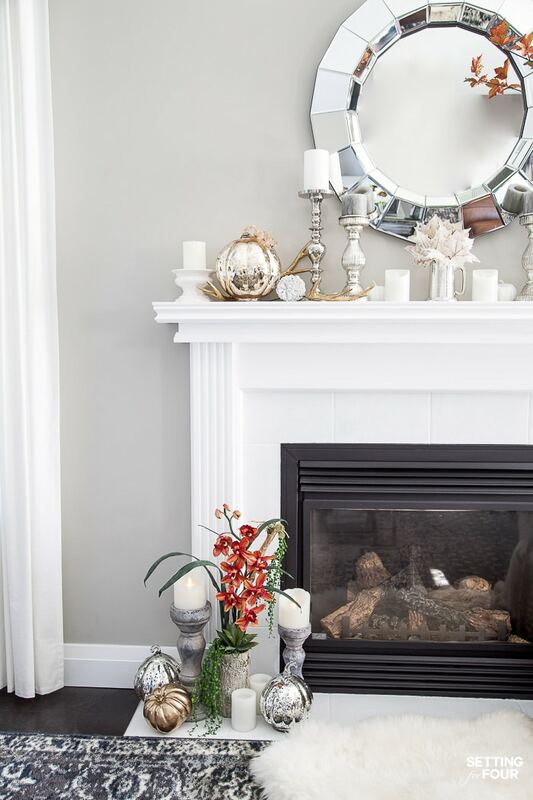 This orchid arrangement adds such a pretty pop of color and beautiful style to our living room. 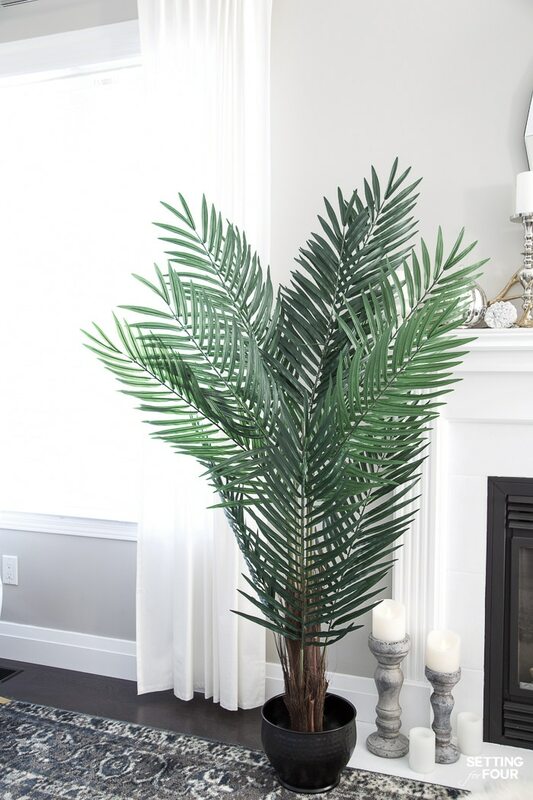 This stunning 5 foot Areca Palm Tree is such a beauty and is a major focal point to a room! It’s big and fluffy – I’m in love with it! It adds so much impact to a room. I placed it in our living room by our fireplace to refresh this spot for fall. This tropical tree doesn’t disappoint and is perfect for you coastal loving girls out there! Nearly Natural has a huge selection of palm trees and tropical trees in a wide variety of heights. The beauty of these trees is that they completely set a relaxing and inviting mood in a room! These 4 feet tall Kentia palm silk trees are gorgeous as well. Their branches are pliable so you can fluff them out and make them wider or narrower, depending on where you want to place them. I added these two to our family room – placing one on an end table to frame my gallery wall and adding the other beside the other end table. 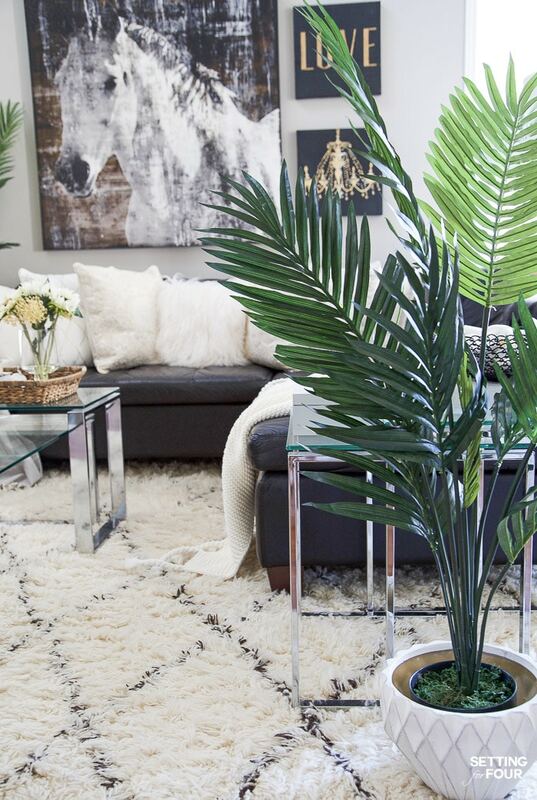 Decorating tip: These palm trees are a great way to delineate separate living zones in an open concept room and they will bring balance and harmony to a room too. 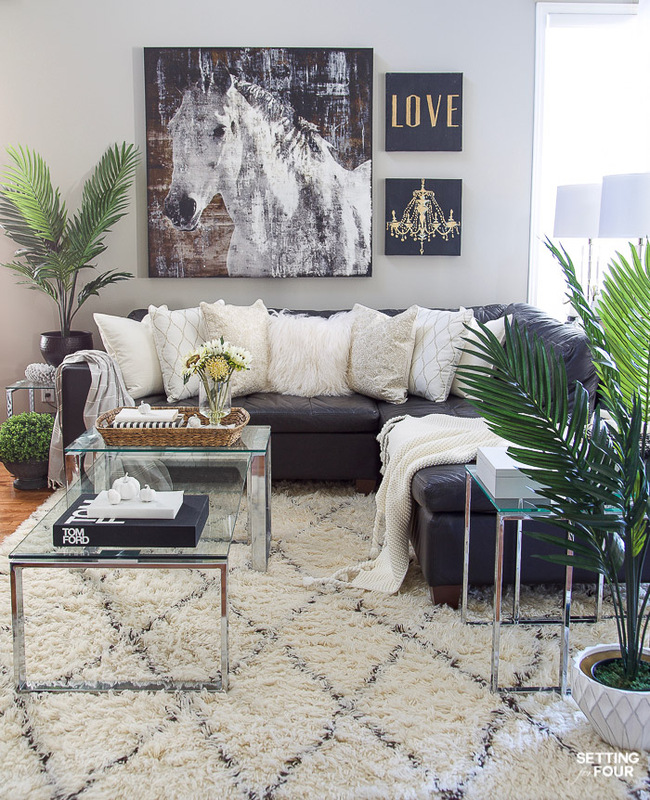 If you have a piece of art over a chair adding a faux palm tree beside the chair will make everything feel cohesive, grounded and create a more balanced decorated space. When I did the La-z-boy Design Dash in North Carolina, where I designed an entire living room sight unseen in just 36 hours, I used faux trees and plants to create a harmonious cozy living room. 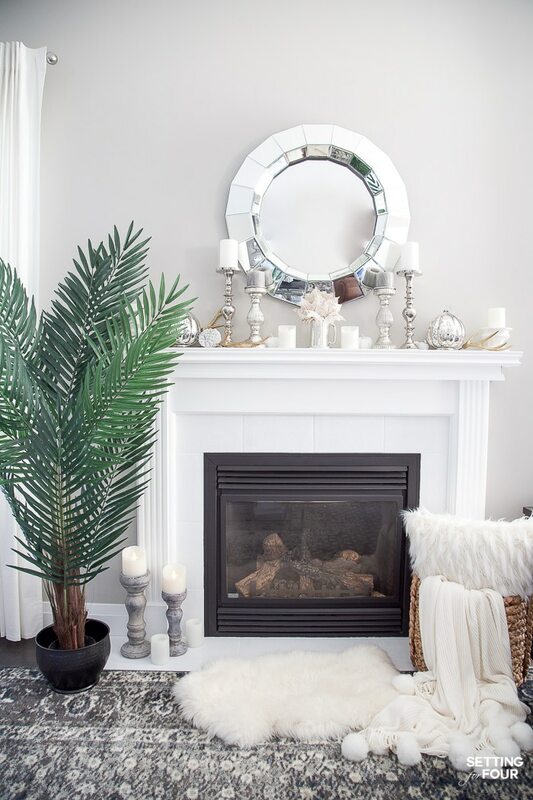 Adding faux trees to any room is a clever, easy and affordable way to decorate a room without breaking the bank! 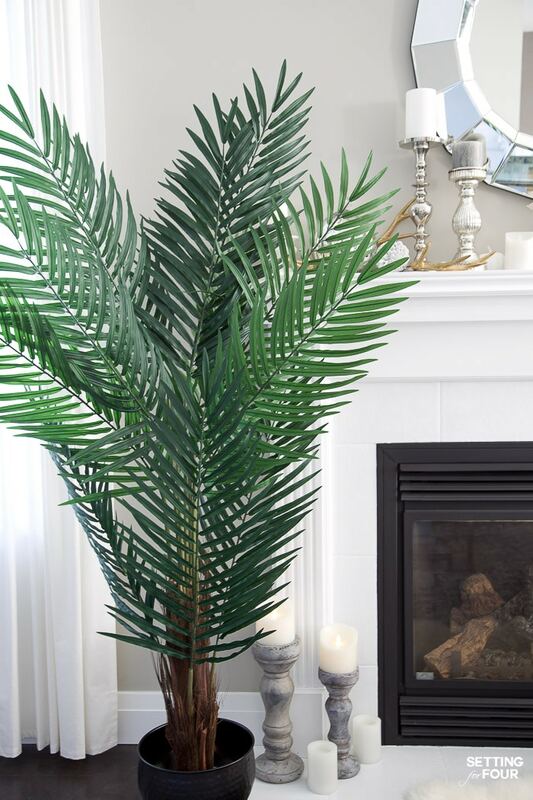 These tropical palm trees are perfect to brighten up an empty corner, ground a sofa or chair in a room, add to a kitchen for a pop of color or to a bedroom to turn it into a tropical oasis! I love that the palm tree branches are bendable. I quickly spread them out into a pleasing arrangement and fluffed and tugged at the branches to make it feel full and lifelike! 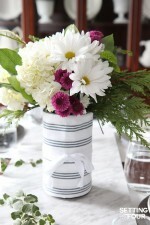 Pop the trees into a decorative basket or planter pot for a major dose of decor power and beauty! These palm trees and all the artificial plants and flower arrangements at Nearly Natural also make AMAZING holiday gift ideas! 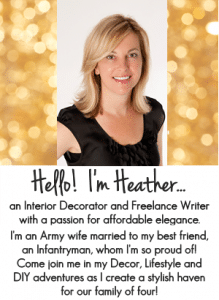 I think they would make fabulous gift ideas for a new homeowner, a loved one who travels a lot and isn’t home to water plants regularly, a loved one who is moving into senior living or a student living in a dorm! They come shipped in a box so they are super easy to wrap and tag. Nearly Natural offers FREE shipping, FREE returns and satisfaction guaranteed! Plus they have fast shipping within 24 business hours – in case you need a rush order! Nearly Natural offers lots of fall flower arrangements from mums to lovely orchid arrangements and they have a wide variety of colors. 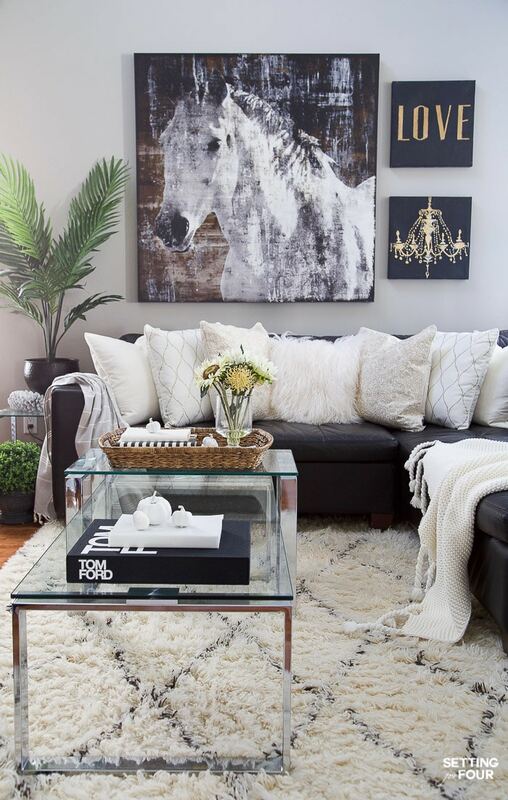 Love neutrals? Then you ‘ll love this artificial neutral sunflower and sedum flower arrangement in a vase! You know how much I love neutrals! This stunning flower arrangement has the look and feel of fall in calm soothing colors of wheat, earthy brown and green. It’s perfect for a coffee table, desk. bedside table or kitchen island. So think about adding a few of these gorgeous everlasting palm trees and flower arrangements to your home this fall and welcome the beauty of plants! And consider gifting one of their trees or floral arrangements for the holidays or birthday gifts! Exciting News!! You can use code “FallHL” to get 20% off Nearly Natural products when you order them online by using your code at checkout! 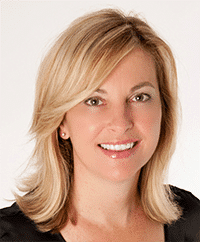 Enjoy your Nearly Natural trees and floral arrangements! 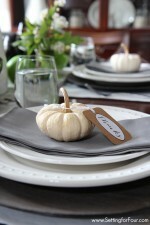 They don’t disappoint and will add so much beauty and coziness to your home! I’ll be honest with you Heather, I do not like artificial plants or flowers but these really do look 100% real! LOVEthe orchid! I am very surprised. I actually was in a new dollar store that just opened near me and while browsing through came across this artificial plant that I absolutely loved the vase on. Well I was very surprised at how real the plant looked so I ended up buying it, (mostly for the pot) but I have had several comments on it so I was very happy that I purchased it. My plan of course was to figure out a way to get the plant out without ruining the vase but now I think I’m going to keep it! I think over the years they’ve really improved on the “artificial” of plants and flowers so maybe I will add a few in the future. P.S. I’m still very much in love with your horse picture!